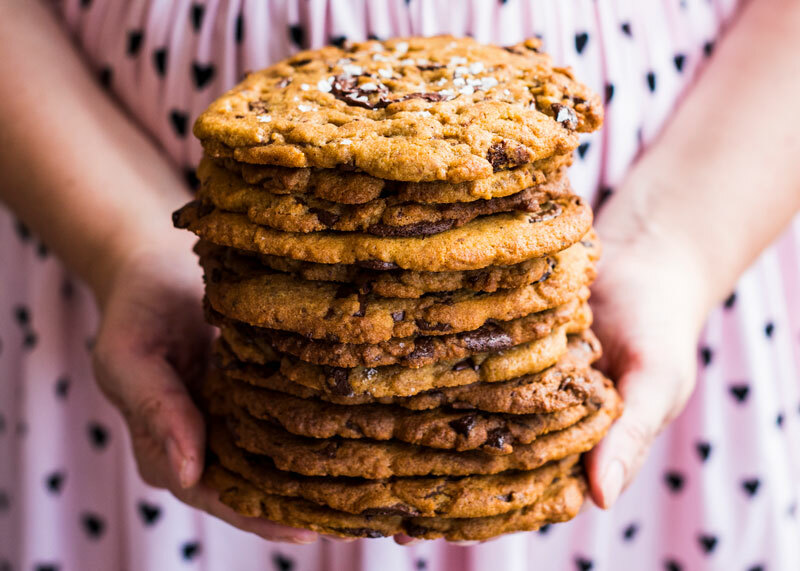 These Giant Salted Tahini Chocolate Chip Cookies are crunchy on the edges, soft and gooey in the middle, have pockets of melted oozy chocolate and a lovely saltiness from the tahini. 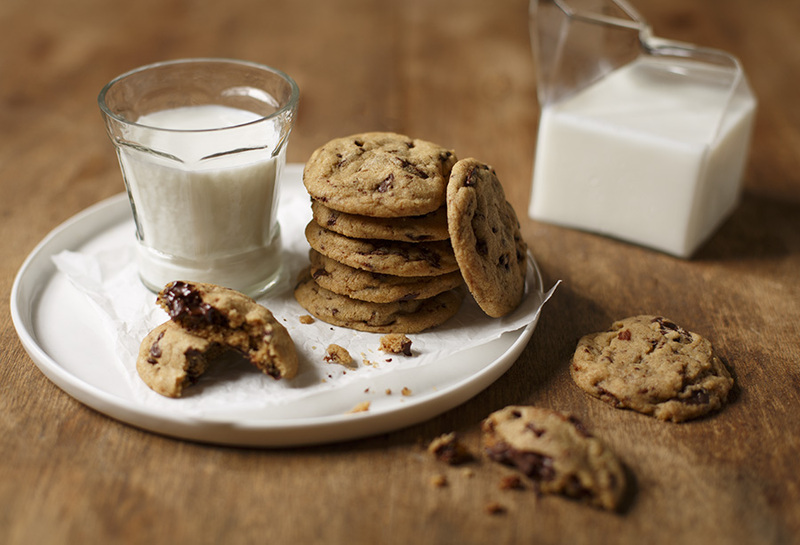 Peanut butter and chocolate chip cookies just got a very grown-up cousin. 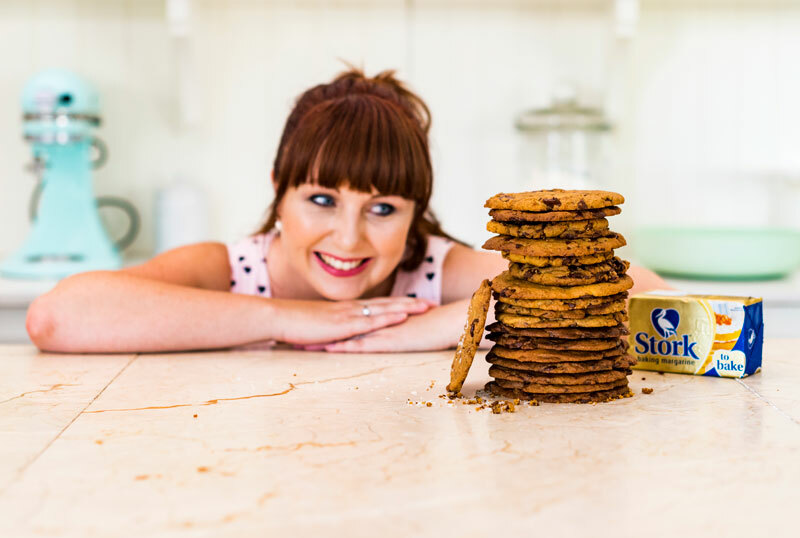 When my friends over at Stork asked me to create a cookie for Father’s Day, I didn’t need to think very long about it. 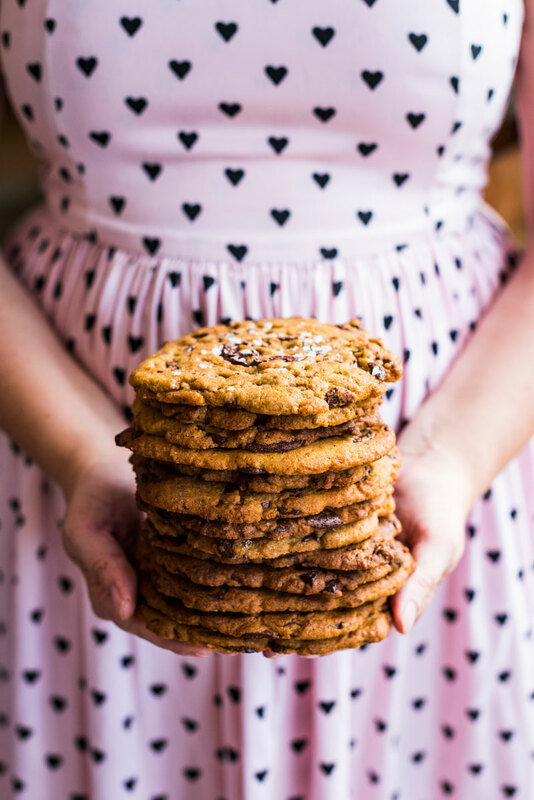 I’ve been wanting to make these Giant Salted Tahini Chocolate Chip Cookies for ages. 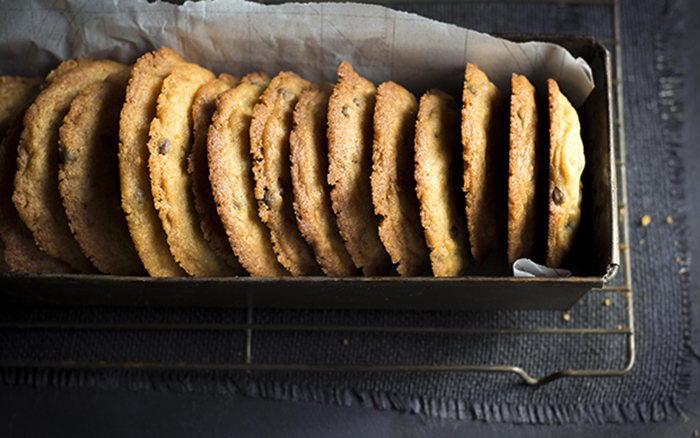 They’re the perfect dad bake – especially if yours is a ‘go big or go home’ kinda guy. Heck, if you want to just bake them for yourself, that’s okay too! We don’t judge around here. 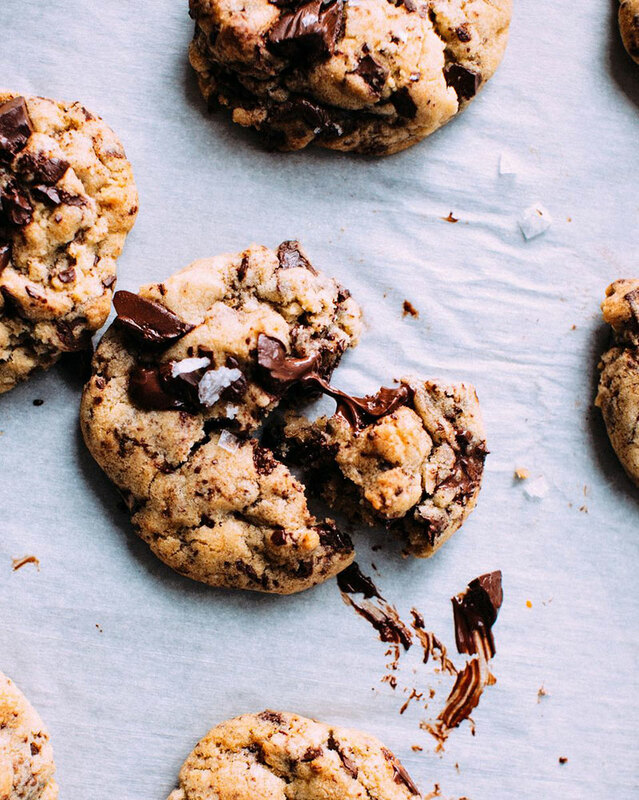 If you haven’t yet baked with tahini yet, then you’re missing out. It’s a lusciously creamy paste made from toasted sesame seeds and it lends a lovely nutty savoury note to anything you stick it in. You can find it in the health aisle of most supermarkets, but if you’d rather stick to peanut butter, that would also work in this recipe! 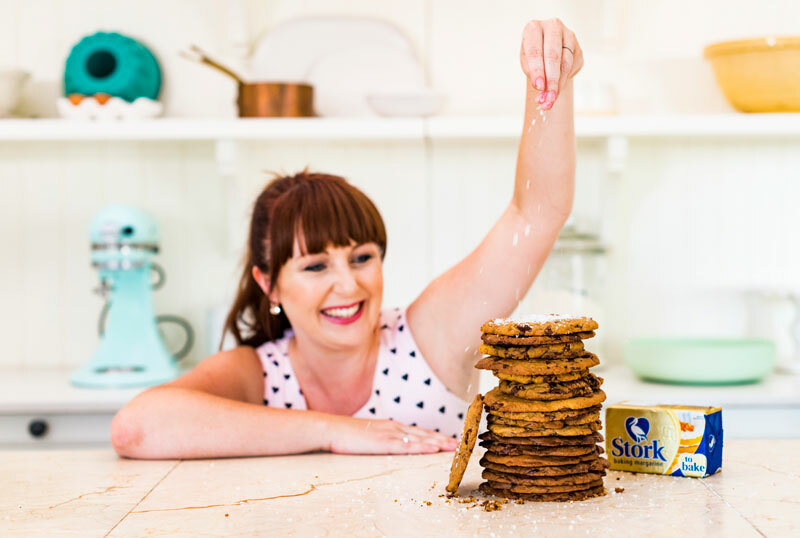 Tahini is a little on the pricey side so making these with Stork Bake stops these cookies from breaking the bank, but it also helps them stay fresher for longer – a bakers secret weapon! I know I ALWAYS nag about it, but whatever you do, don’t make chocolate chip cookies using actual chocolate chips. Chocolate chips are stabilised for baking to prevent them from melting, which is so silly because I WANT THEM TO BE MELTY! 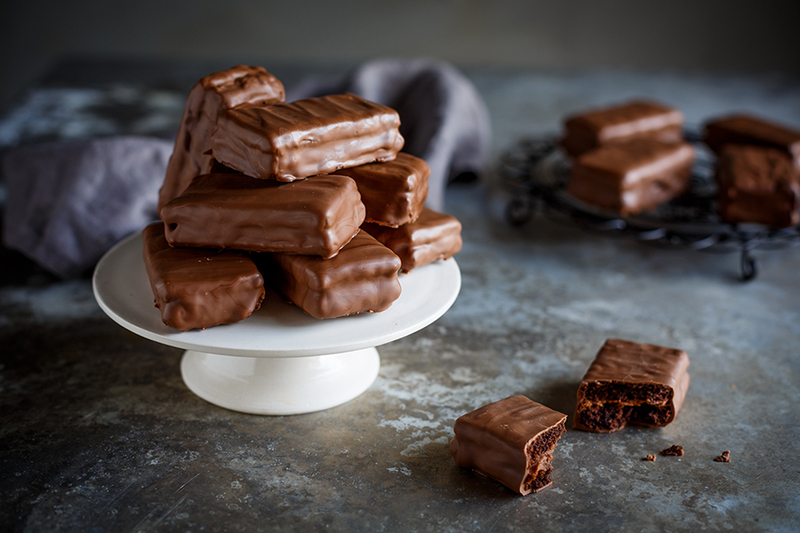 Always use a really good-quality dark chocolate instead and chop it into chunks. 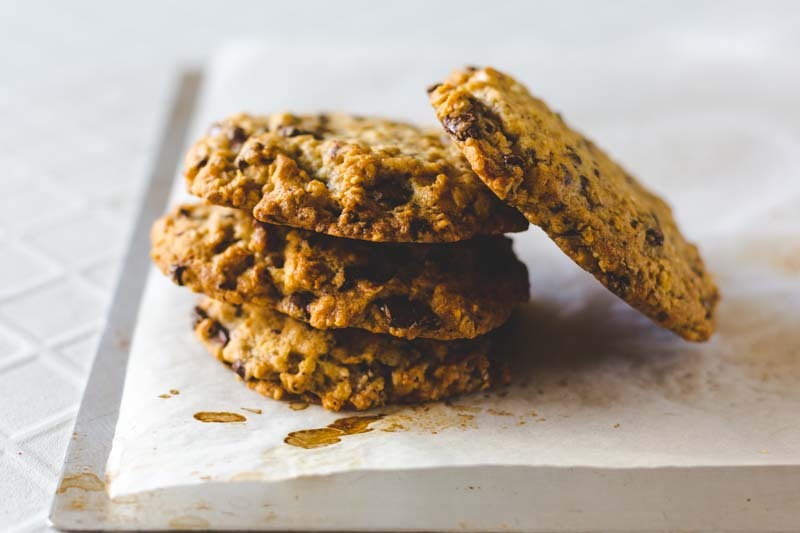 That way you’ll get pockets of gooey, oozy chocolate – which is exactly how I think nature intended chocolate chip cookies to be! 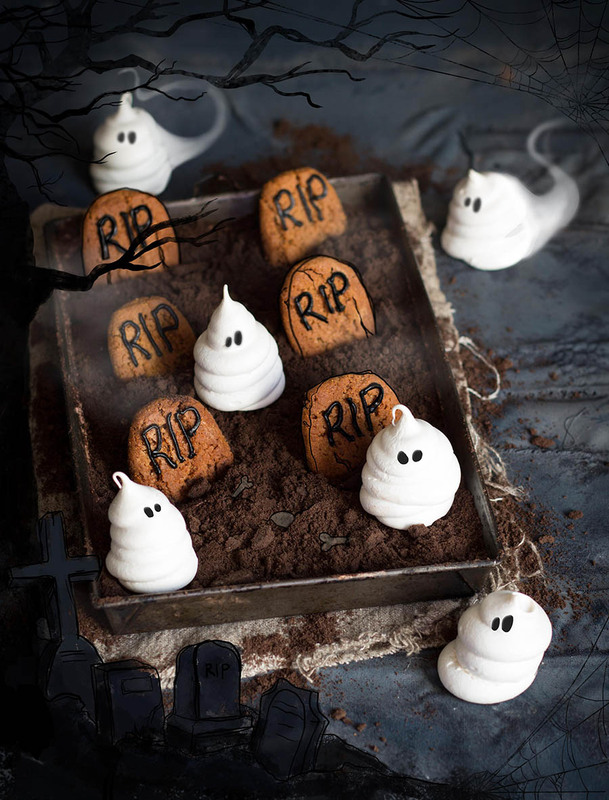 If you’re going to bake these up over the weekend, please share your pictures with me over on Facebook, Instagram or Twitter. 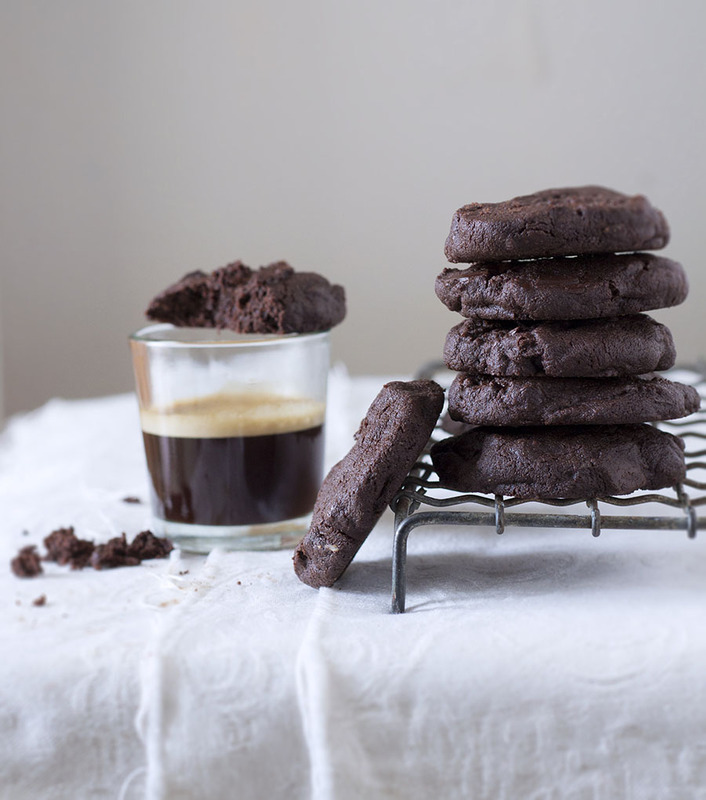 I’ve been so blown away by all your beautiful creations, I’ve started a Facebook group where we can share and connect over our love of baking – click here if you’d like to join The Kate Bakers (see what I did there? ? Preheat the oven to 160 degrees Celsius (140 fan-forced). 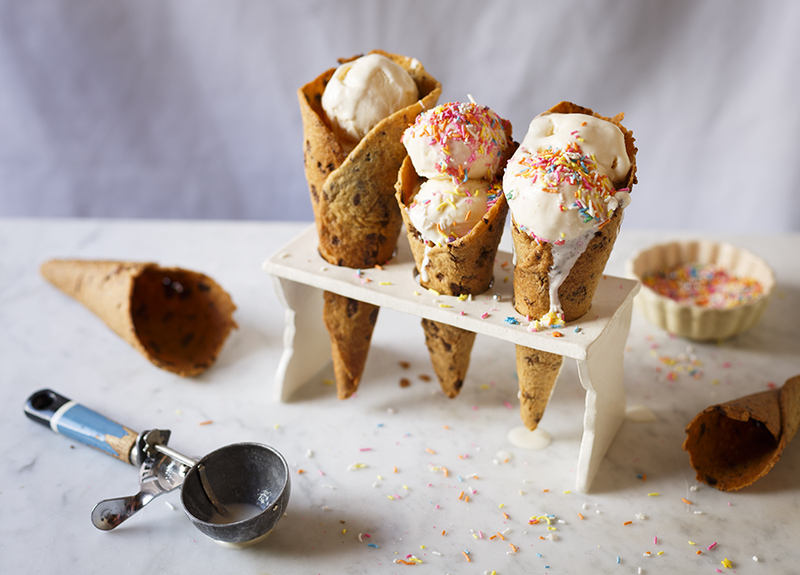 Cream the Stork, tahini and sugar until light and fluffy – about 8 minutes. 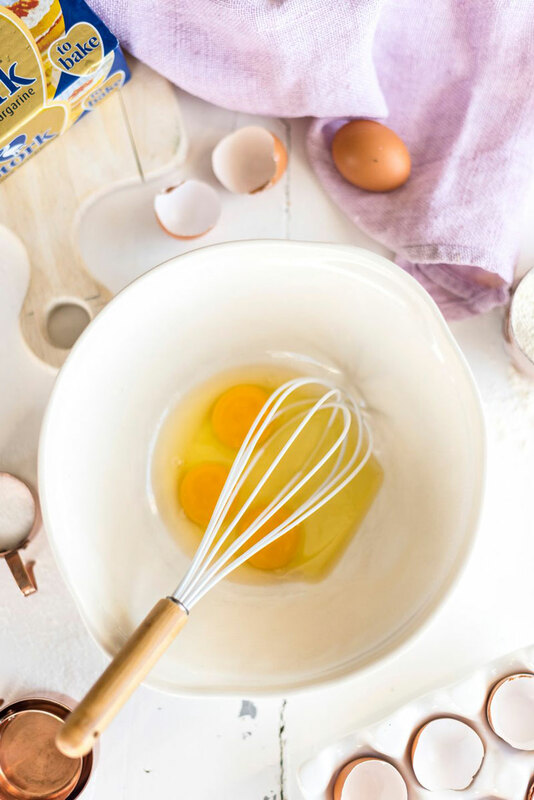 Add the egg and yolk and mix well. In a separate bowl, sift together the flour, bicarb and salt then add the dry ingredients to the creamed Stork. Mix to form a soft dough. Stir in the chocolate chips, cover and allow to rest for 1 hour in the fridge (or even better, overnight). 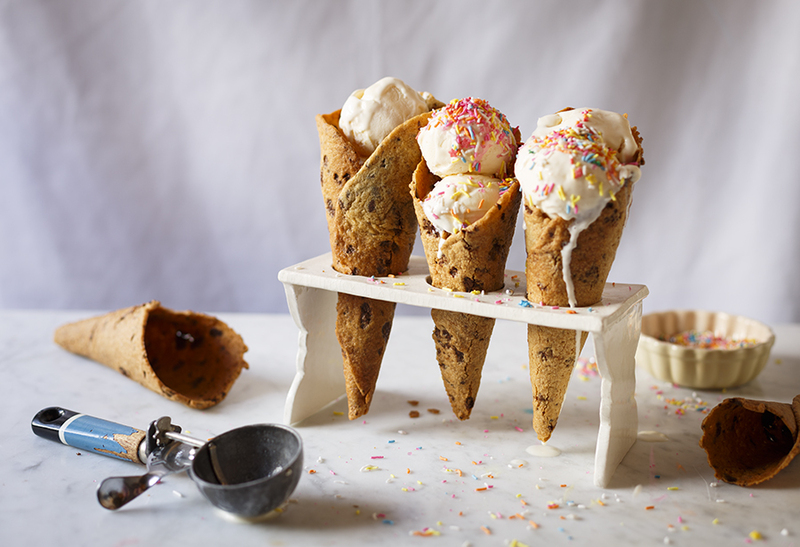 Use an ice cream scoop to scoop the cookie dough into large cookies – leaving enough space for them to spread. Bake the cookies one sheet at a time for 15 minutes or until golden brown around the edges. Can I use butter instead of Stork Bake?